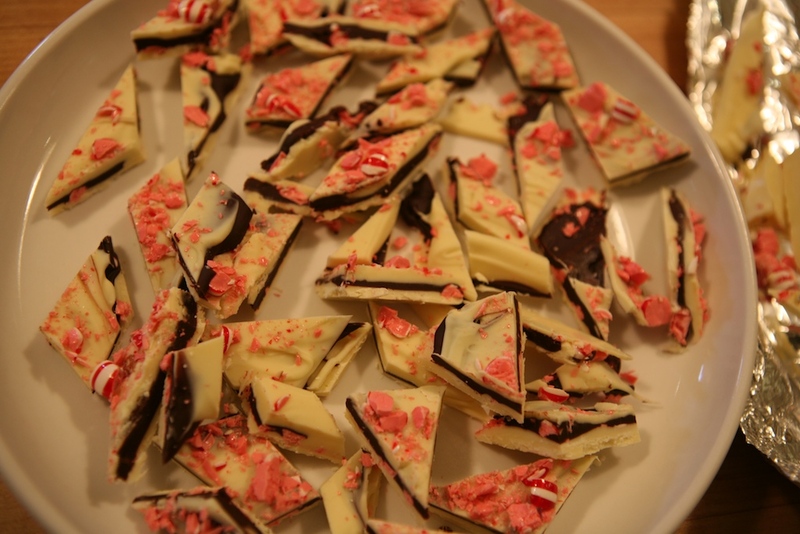 Homemade Peppermint Bark — my.life.at.playtime. 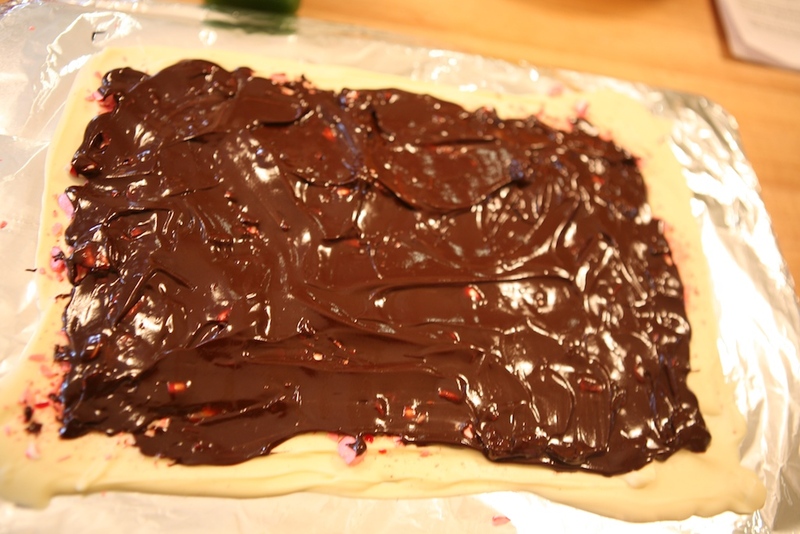 I got it in my head that I was going to learn how to make peppermint bark. I love to eat it and I figured it would be one of those good staples that you just should know how to make. Like pasta. Well, maybe not like pasta, but like scrambled eggs, which I recently learned to make as well. 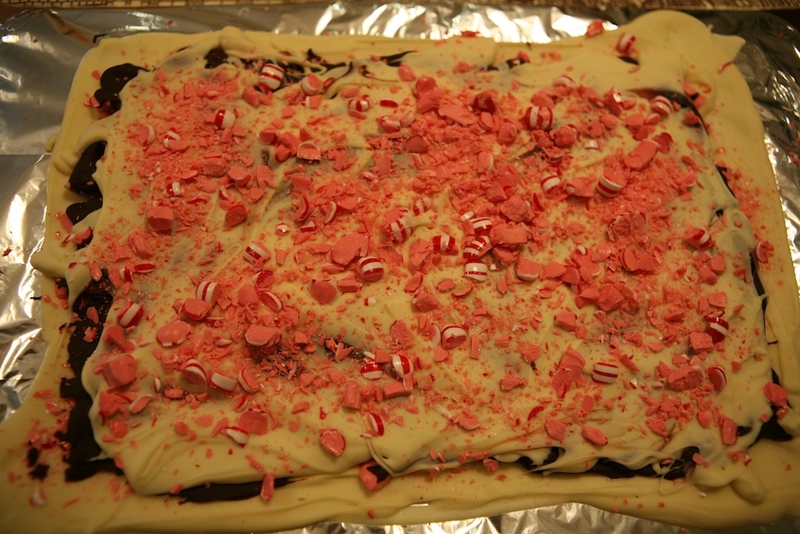 I used this recipe for the peppermint bark which is from Bon Apetit. It was very step involved, but now that I made it once I think it'll be a breeze to do again. But next time I am doubling the recipe. It was delicious. I mean DEELICIOUS! Be sure you read through the recipe and get the right white chocolate, cocoa butter in the ingredients is a must. 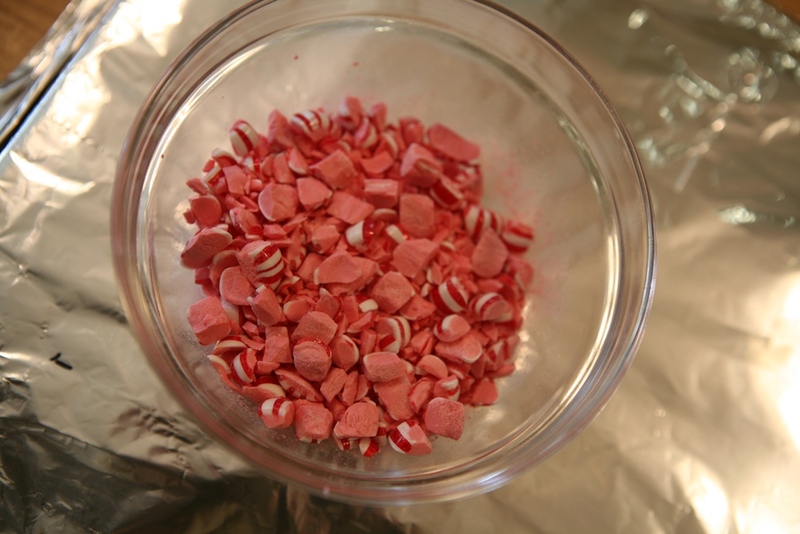 I smashed the peppermint candies using the corner of a can and then the kids went to unwrapping the candies, you'll end up with a bowl looking like this. I used my handy dandy chocolate melter to melt the white chocolate while the kids were unwrapping the candies, then I poured it out just like the directions stated and marked off a 9x12 area. 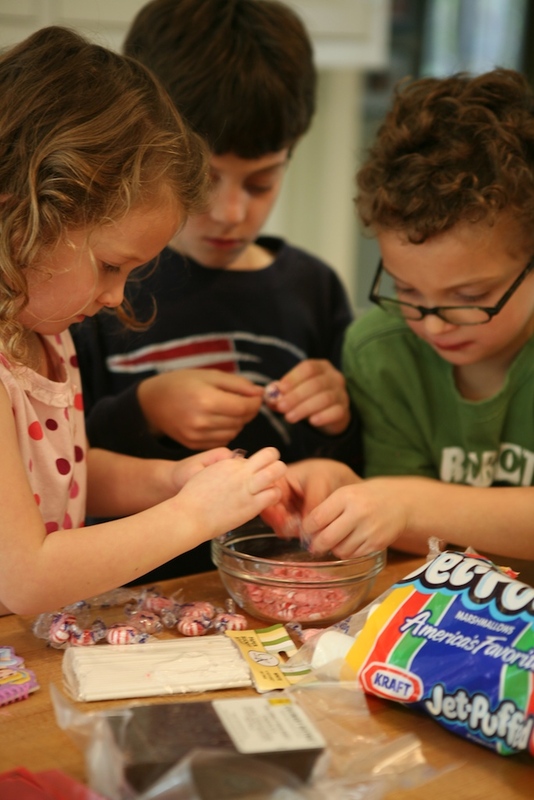 Once I poured the white chocolate onto the sheet, I followed with peppermint candies. This would be your first layer. 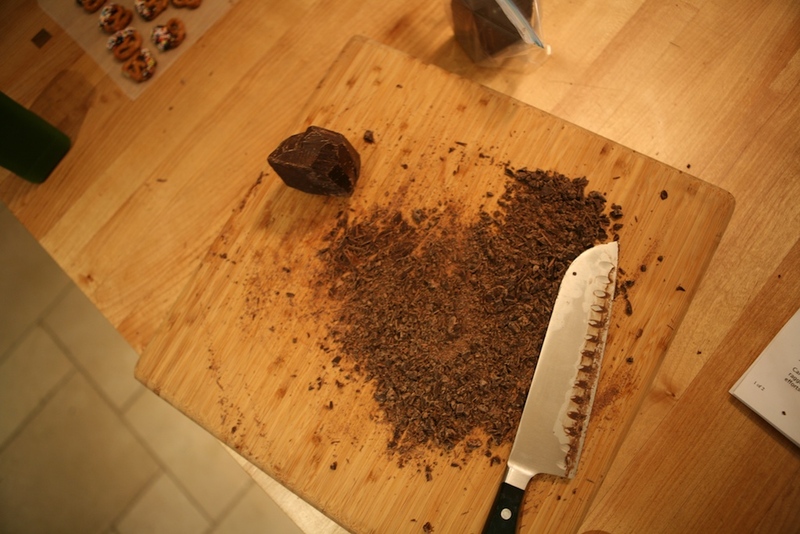 While that was chilling in the fridge I chopped up the chocolate and then heated the ingredients for the next layer over the stove. The dark chocolate mixture becomes your next layer, and while that is chilling you melt the rest of your white chocolate. 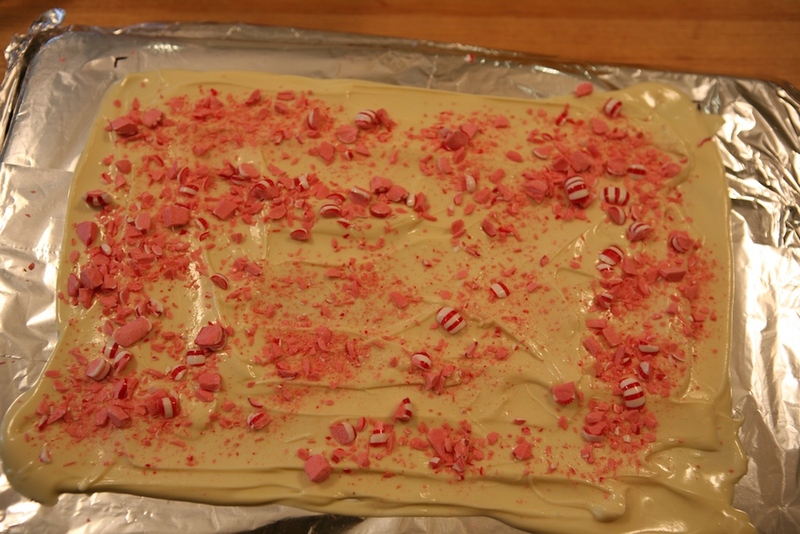 The white chocolate and peppermint candies become the last layer, and you chill one final time before you chop it up.